Buy Tickets for the Anniversary Show Here! 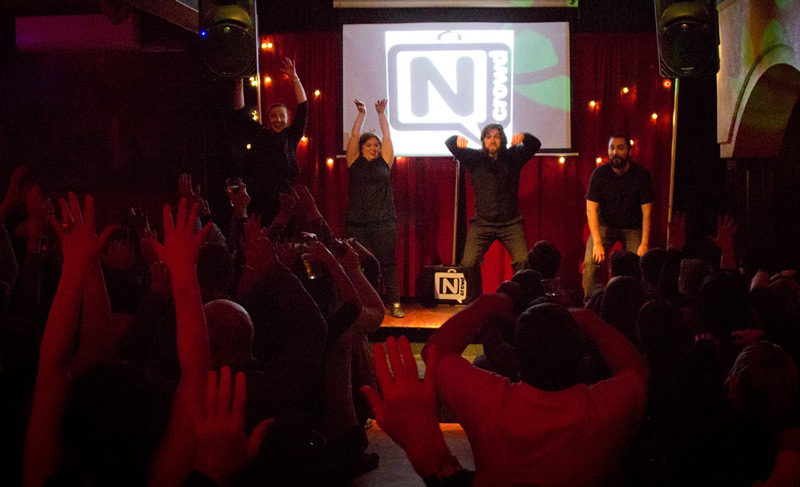 Join us for a great night of improv comedy as the N Crowd returns to the Ruba Club to celebrate 12 incredible years of performances. It has been over a decade since we first took the stage and we’ve loved every minute of performing for you. Every member of The N Crowd looks forward to the end of the week because they know they’ll be getting to perform for some of the best fans in Philadelphia. Philly Style Magazine called this show ”Philadelphia’s premier improv comedy troupe” while the Philly Metro said that this troupe was “keeping Philly funny.” In 2008, 2010, 2013, and 2016 The N Crowd was named “Best Comedy Club” by City Voter’s Hot List. Get the best 80 minutes of entertainment that $12 can legally buy.